Michael Ynoa pitched for the White Sox in 2016 and '17. The Kansas City Royals have started their offseason maneuvering, announcing the signing of right-hander Michael Ynoa to a minor league contract Tuesday. Ynoa, 27, played for the Chicago White Sox in 2016 and ’17 before being released in March. He did not play with an affiliated club in 2018 but did make 10 recent appearances with Águilas Cibaeñas of the Dominican Winter League, fashioning a 0.87 ERA with 13 strikeouts and just four hits allowed in 10 1/3 innings. 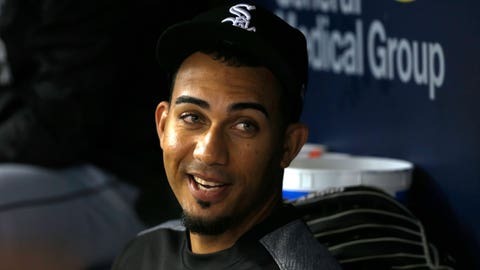 Ynoa, who originally signed with Oakland out of the Dominican Republic in 2008, made Chicago’s Opening Day roster in 2017 and went 1-0 with a 5.90 ERA in 22 appearances. He made his major league debut in 2016 and posted a 3.00 ERA with 30 strikeouts and a .183 opponents’ average over 30 innings.